1. The Abita Trailhead Marketplace will begin its First Saturday markets on Feb. 7, 2009. 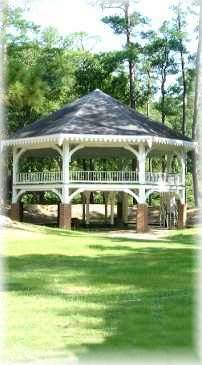 The marketplace will be held at the Abita Trailhead Plaza from 10:00 am - 4pm. There will be a variety of crafts items for sale, such as jewelry, candles, planters, spun glass, homemade breads and jellies, toys, hand sewn items. Hot foods and drinks will be available. From time to time, music and dance groups will be performing. Vendor booths are available for $10 by contacting Kathy Brenner at 985 373 4328. 2. The Push Mow Parade and Party will be held on Saturday, February 14 with the theme "Unfortunate Couplings". Registration is on day of parade on the Town Hall Porch from 8 - 10 am. $ 5 individual, and $25 groups. Coffee and donuts will be sold before the Parade.The Parade begins at 11:00 with Myrtle Leveson as the Grand Marshall, and Benny Grunch as the Captain.There will be several awards for individual and groups for costumes and for "who knows what else....". the Party will begin at Noon in the Town Hall with Benny Grunch and the Bunch performing. Admission $5. Food and drinks - beer, wine, sods, red beans, gumbo, hot dogs- will be sold. 3.The Abita Springs Jazz Brunch II will be held on March 22, at the Abita Quail Farm from Noon - 3. Otis Bazoon Trio will be performing. Admission is $25. Tickets will be available at the Parade Party and at the Town Hall. The Abita Mystery House in historic Abita Springs. The oldest museum in Abita Springs is a family fun roadside attraction featuring a vintage service station, a 90yr old Louisiana Creole cottage, an exhibition hall of memorabilia, the much photographed House of Shards, and a 32 foot alligator. . The boardwalk is approximately 1200 feet long and provides daytime viewing of special wetland habitat types such as scenic longleaf pine savanna and bay head swamp. Trail and boardwalk combined is 0.7 miles long. The habitat types present support numerous rare and uncommon species of animals and plants, such as the yellow pitcher plant, a carnivorous or bug-eating plant, for which the trail is named. This is a free and really fun thing to do with children. © Copyright 2008 SeeLouisiana. All rights reserved.